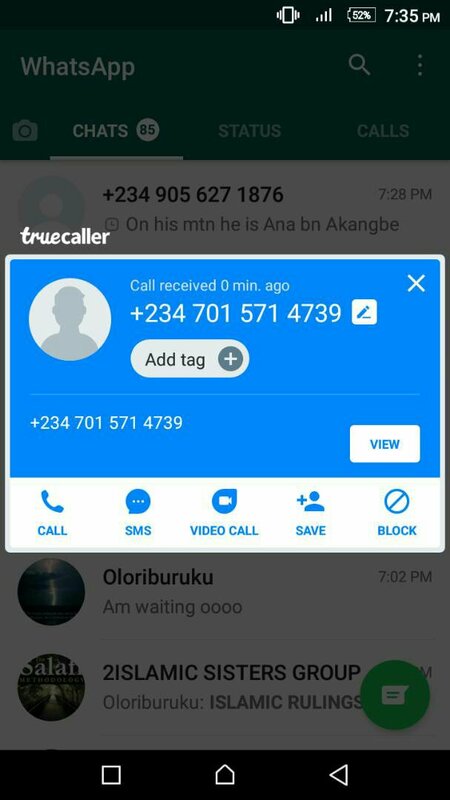 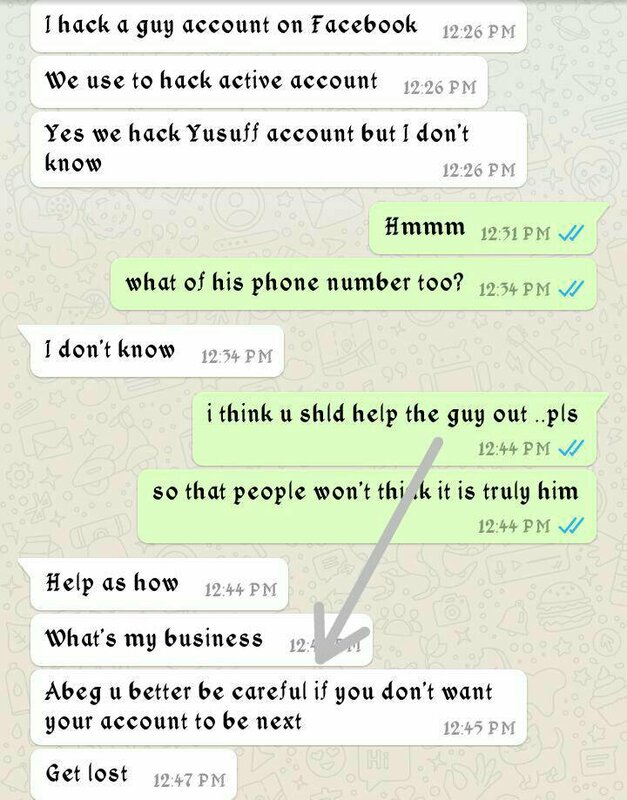 Yussuff Akangbe of impersonation, crying out that Akange was using her pictures online with intention to defraud people. 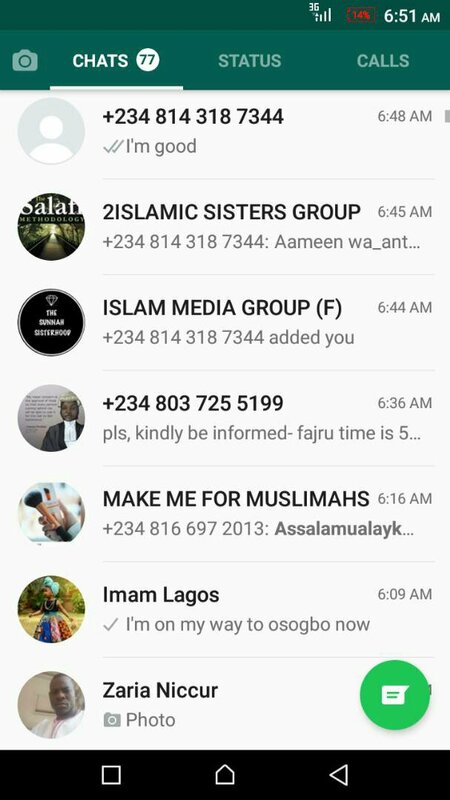 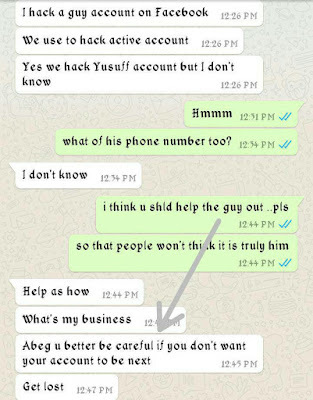 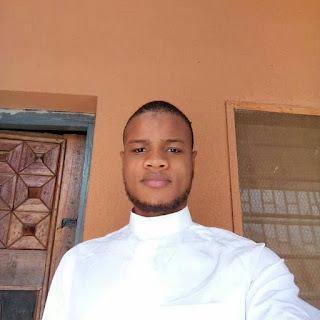 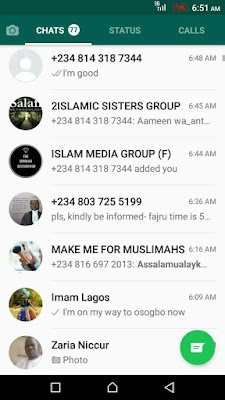 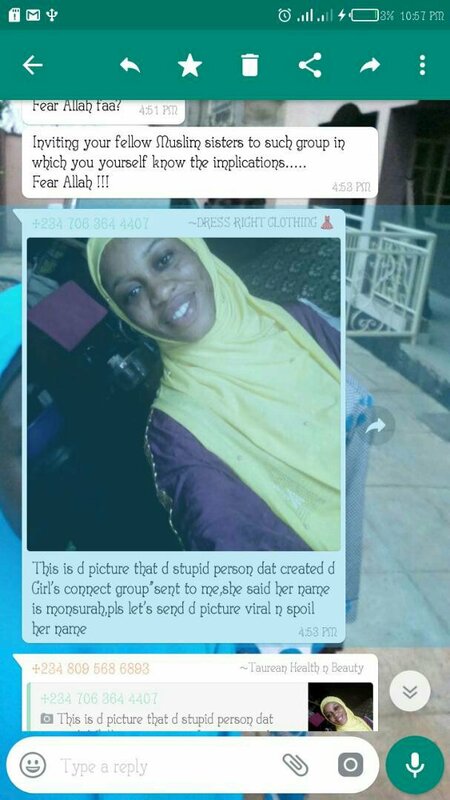 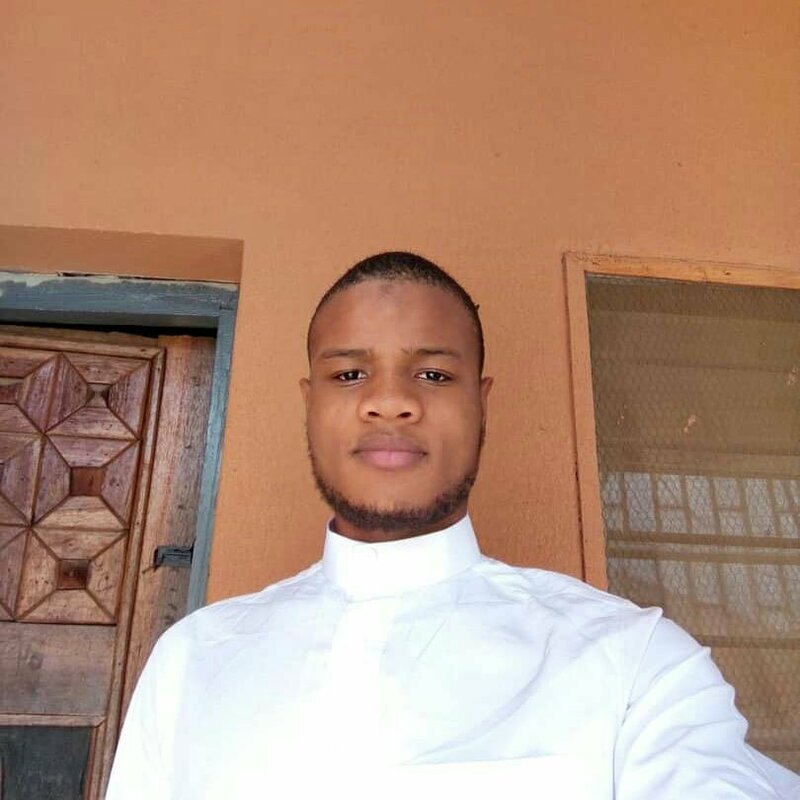 Mundurah alleged that Yusuff in his quest to dupe people, used her pictures on WhatsApp, luring female students to join romance related group. Her words: “It’s States it’s an organization and sisters are joining already because of it’s catchy headline”. 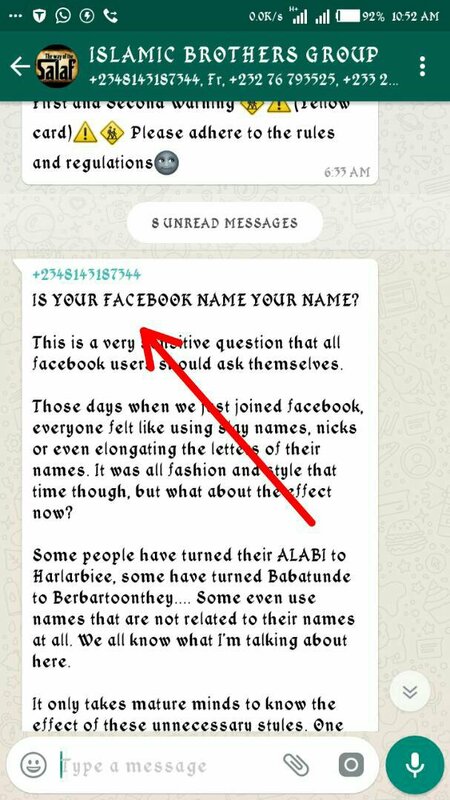 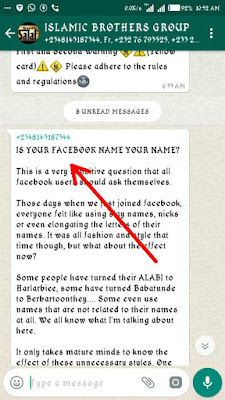 In her quest to save her name been dragged in mud, she have been sending this to different groups. 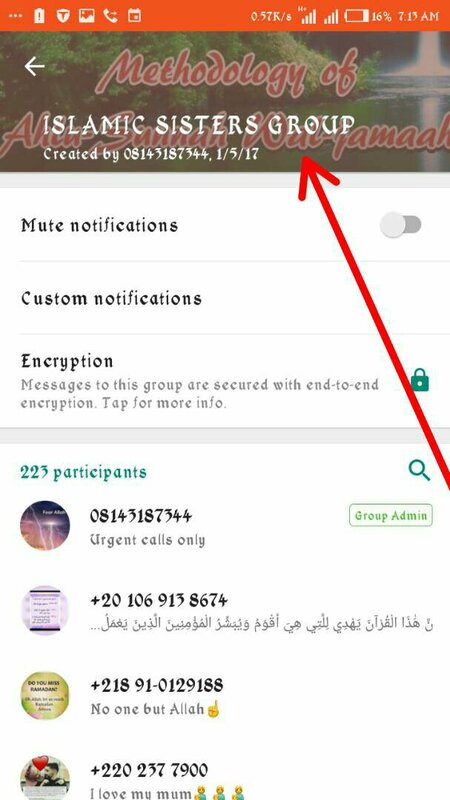 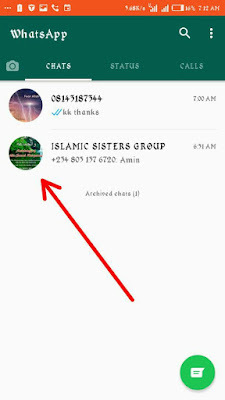 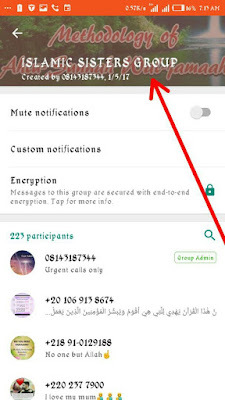 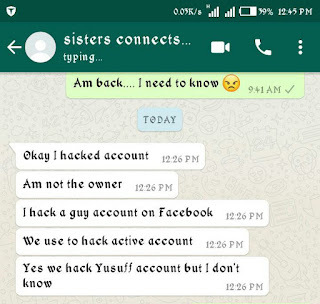 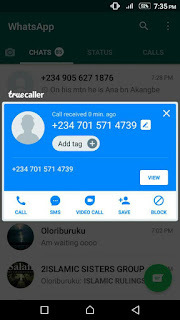 GIRLS ALONE CONNECT all on WhatsApp with the above numbers..below is his different chats with different sister pretending to be a sister and brother at the same time………….Jazzakumullahu khaeran as you help me Re-Bc”. 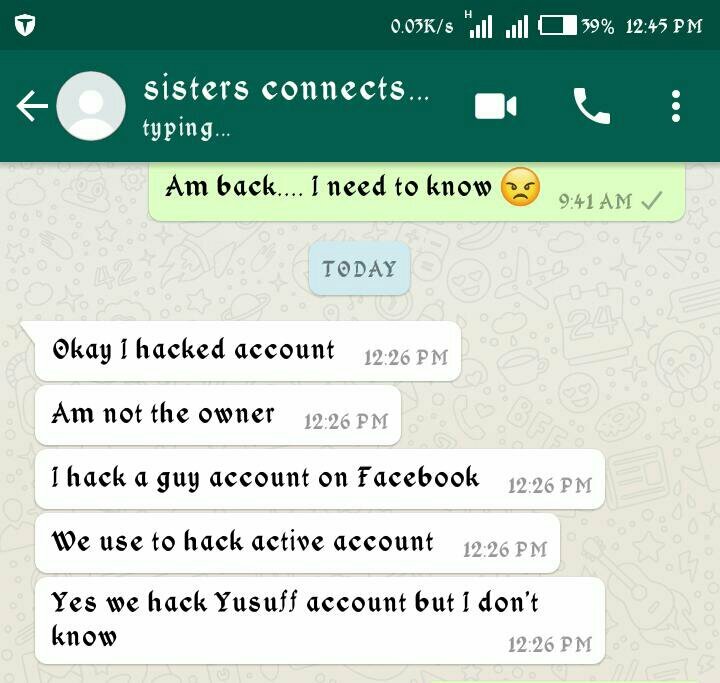 All effort to reach Yussuff have proof abortive.